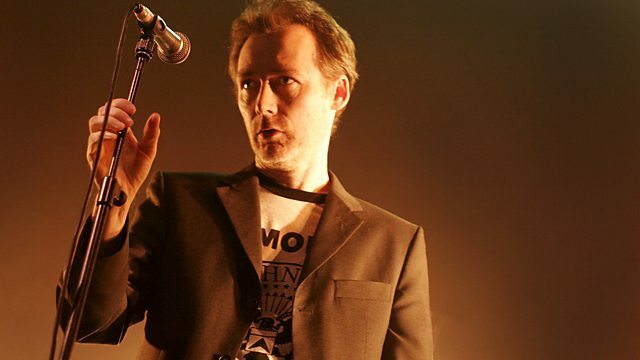 Jim Reid of The Jesus And Mary Chain plays some of his favourite records, including tracks by Pink Floyd, Siouxsie and The Banshees, The Monkees and Muddy Waters. Jim Reid of The Jesus and Mary Chain plays some of his favourite records, including tracks by Pink Floyd, Siouxsie & the Banshees, The Monkees and Muddy Waters. He talks about his deep regret over saying some nasty things about Sir Paul McCartney a few years ago. He also declares his love for Strawberry Switchblade, and tells how Muddy Waters was a favourite on the Mary Chain tour compilation. The Jesus and Mary Chain rose to prominence in 1985 with much critical acclaim. Their debut single 'Upside Down' topped the indie chart, and their debut album 'Psychocandy' followed later that year. Bobby Gillespie had been a member but left ahead of the release of the album to concentrate on Primal Scream. The band released 5 more studio albums before separating in 1999. They got back together in 2007 to play some live dates.